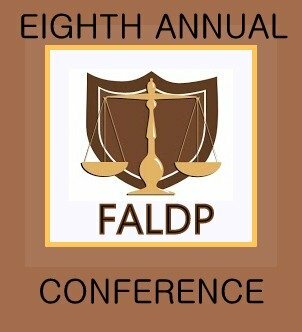 We chose to hold this conference in the spring, rather than our usual fall date. FALDP's fall schedule has grown increasingly complex, and Daytona being Daytona is an event town. We have to work around the multiple events that take place in Daytona throughout the year. Daytona events include Biketoberfest, Nascar race weeks, Bike Week, and spring break. Not only would it have been difficult to negotiate accommodation rates, but the town is so packed with people and traffic during events, that its not easy to get anywhere. The rule for visiting Daytona during events, is that you don't want to be in Daytona during an event unless you're there for the event. The accommodation rates for the new May 5 date have increased slightly. Accommodations at the Fountain Beach Resort for conference attendees are $89. per night. We encourage you to register for the conference and make your reservations early. The discount code for accommodations will be provided to you once you register for the conference. Although there is no public event that weekend (besides our conference), spring in general is busier than the fall.So, make your plans and register early. 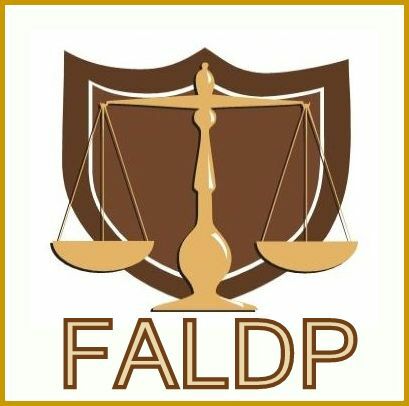 FALDP's workshop: Create Income Preparing Legal Forms - offers a way for business owners and start ups to generate a first, second or third income stream by preparing legal forms. The description of our workshop is: Our world is forms driven. Preparing forms can be a stand alone business or a second or even third income stream for an existing business. Many consumers lack the time or inclination to first locate the correct form and then struggle to make sure it is properly filled out and provided to the correct party. This workshop is presented by the Florida Association of Legal Document Preparers which is a statewide trade association of nonlawyer document preparers. Our members not only prepare legal documents such as for family law, bankruptcy, and immigration; but also provide translation, mediation, and notary services. We are not attorneys and do not provide legal advice or representation, rather we empower consumers to help themselves. The day-long conference and trade show, travels throughout the country’s top cities for small business, brings together industry thought leaders and experts in a hands-on environment that features more than 20+ free business critical workshops and programs along with 100+ interactive booths, demos and brand exhibits. Start-ups and business owners can take advantage of free admission and educational workshops covering online/social media marketing, employee benefit plans, credit and financing, strategies for increasing revenue and team productivity, mentoring, cloud technologies, retirement plans, and more. FALDP will be giving away a Turn Key Business Bundle Quick Start-Up Kit developed especially for this Business Expo, and includes courses, books, marketing assistance, and more. All designed to help you get your document preparation business up and running right away. We will also be giving away Online Course Bundles also developed especially for this Business Expo. These special giveaways are valued at $199 to $499. and will be given away in three separate drawings. Business owners have discovered that adding document preparation services is a lucrative and logical choice. Our association can help you build your document preparation business. Our show specials also include free membership and free business coaching. We are also allowing those of you who are not able to attend the Small Business Expo in Tampa on 10/26 to participate in our drawing. Submit the form on our site to Register for SBE Drawing If your name is drawn we'll notify you be text and/ or email. Deadline to register from our site is 10/20/2017 - so hurry!